Milwaukee’s First Injured Streetcar Track Victim | Hupy and Abraham, S.C. The law firm of Hupy and Abraham, S.C. has announced that firm president, Attorney Michael Hupy has been hired by a motorcyclist injured in a Milwaukee streetcar accident. The client has filed against the city of Milwaukee after an accident that occurred on July 26, 2018. The motorcyclist was headed east on St. Paul street. Client was attempting a lane switch in order to turn left onto Water street, when his front motorcycle tire became wedged in the streetcar tracks, causing him to be thrown from his motorcycle. This resulted in him landing in the opposite lane of traffic and a broken arm. The city of Milwaukee originally had a streetcar system that opened over 150 years ago. The old system was closed in the 1950s. The modern Milwaukee Streetcar has been in development since 2016 and will begin official operation this fall. The Streetcar, also known as “The Hop MKE” has said that it will improve public transit and attract more talent, employers and tourists for the city. A longtime supporter and presence in the motorcycle community, Hupy and Abraham has represented over 4,000 injured motorcyclists and this case is the first accident of its kind. “Attorney Hupy stated, “I have been a vocal critic of the streetcar from beginning, because we have buses that do what streetcars can do without endangering motorcyclists and bicyclists.” There are concerns by others in the motorcycle community that these incidents will continue to happen due to the construction of the project. The roots of Hupy and Abraham, S.C. can be traced back to the mid-1960s, with Attorney Hupy joining the firm in 1989. Some of Attorney Hupy’s notable cases include a $5 million result for a 16-year old after he was hit by a truck in Milwaukee, and an $18.2 million settlement after a trial against the federal government. He also obtained a $1.1 million verdict for an injured Wisconsin motorcyclist, which ended up being the largest settlement in Milwaukee County for that year. 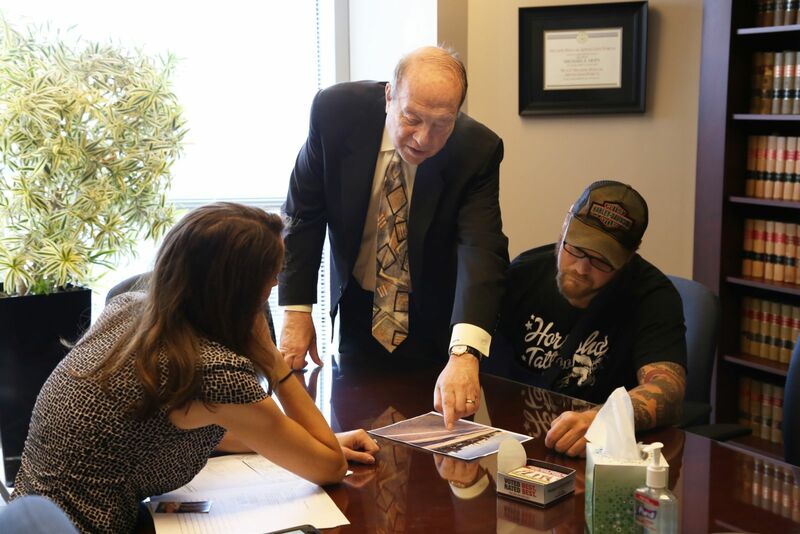 Hupy and Abraham practices in the areas of car accidents, motorcycle accidents, dog bites, nursing home abuse and neglect, and other personal injury related categories. The law firm has collected over $1 billion in verdicts and settlements.